While Apple itself has yet to reveal any Black Holiday 2016 specials, its retail partners have disclosed dozens of deals on iPhones, iPads, Apple Watches. Mac deals? Not so much. 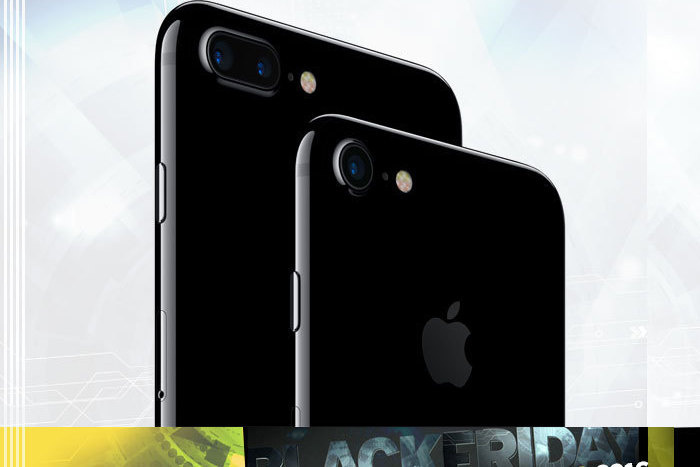 Apple traditionally gives retailers little leeway on iPhone, iPad and Mac promotions, even around Black Friday, but retailers do find ways around these restrictions by bundling phones with gift cards and other goodies. Here's a look at some of the Apple deals to be had this Nov. 25, Black Friday, and even earlier in many cases both online and in stores. Best Buy will give you a $250 store gift card with any iPhone 7 purchase as long as you buy in to an installment plan with AT&T, Verizon or Sprint. Stores open at 5pm on Thanksgiving day, but sales are expected to start online earlier than that. The carrier will bring the price of an iPad Pro 9.7” model with 32GB of storage down to $480 if you buy an iPhone from Verizon. The big catch: 2-year activiation required for the iPad. No money down for any Apple or Samsung smartphone on AT&T Next or Verizon Device Payment plans, plus you get a $250 Walmart gift card. Phone activations begin at 9pm on Thanksgiving night. Walmart is making the price on this pretty mini, by cutting $70 off the usual $270 price for this 32GB model. The retailer knocks $50 off this lightweight 32GB Apple tablet with a 9.7-inch Retina Display screen, for a final price of $350. Get the big Apple iPad with 128GB of storage for $450, which is about $150 off via this deal. Supports 802.11ac Wi-Fi and LTE cellular connectivity. 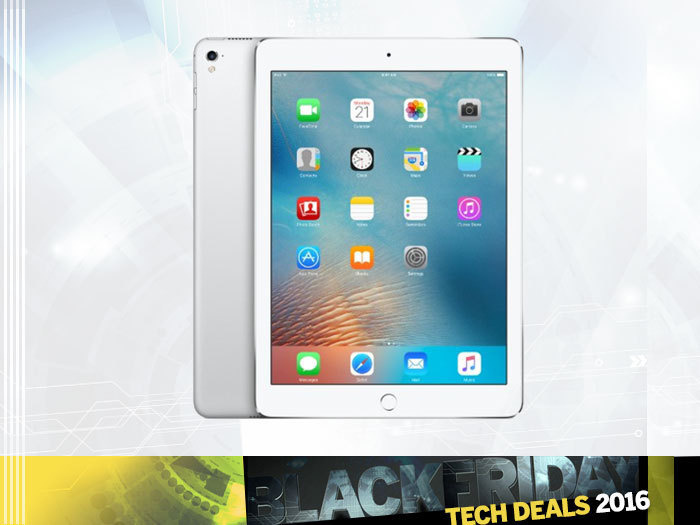 Target is also cutting $125 off the iPad Air 2 and $70 off the iPad mini 2 tablet. Best Buy is cutting $125 from the prices of Apple’s big tablets, which are regularly priced from $600 to $930 depending on storage. This model of the Apple MacBook Air is powered with an Intel i5 processor, has 8GB of RAM and 128GB of flash storage. Best Buy is cutting $200 off the regular price to sell it for $800. Apple and Kohl’s have buddied up so that the retailer better known for its clothing sales will be adding Apple Watches to the accessories it sells. The Series 1 & 2 watches will sell for $269 and $369, respectively, which is no bargain, but Kohl’s sweetens the deal for holiday shoppers by including $105 in Kohl’s cash for Series 2 buyers and $75 in Kohl’s cash for Series 1 buyers. Target is lopping about $80 off the Series 1 model, which will then cost about $200. It’s not offering any breaks on Series 2 as of now. Apple iPod touch, Beats headphones, etc. There’s a product you don’t hear much about anymore, but some parents still like to ease their kids into smartphones with these Apple gadgets. Toys R Us is knocking $50 off the price of these devices, which range from $200 to $400 depending on storage. Target is shaving 25% off all Apple TV models, which regularly range in price from $70 to $200. This deal is available Nov. 23 and 24 (so early access Black Friday…) online or in-store (if you use Target’s shopping app). These high-end, comfortable headphones are being reduced in price from $300 to $120. Doctor Dre-approved.